Does she turn dark or is it a double bluff? Prob just trick trailer editing. 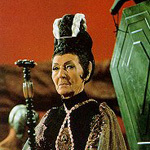 Teaos wrote: Does she turn dark or is it a double bluff? Been reading fan theories and leaks that Rey and Kylo are going to fall in love. I think this scene in the trailer is a bluff, but by the trailer makers. Kylo is in some lava pit while Rey looks like she is in some room with a fireplace. I think Rey will join with Kylo but, it will be them abandoning their respective masters, Luke and Snoke, and forming something that is a mix of light and dark side, without the absolutes of either. Nutso wrote: I think Rey will join with Kylo but, it will be them abandoning their respective masters, Luke and Snoke, and forming something that is a mix of light and dark side, without the absolutes of either. That would be a really interesting story to follow forward..I like it! 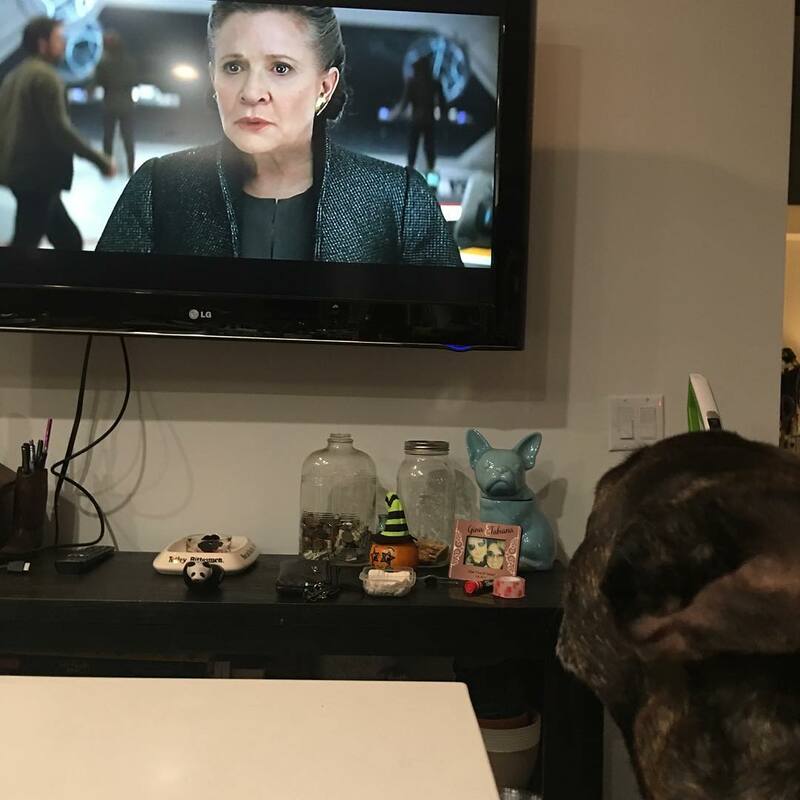 Carrie FIsher's dog, Gary, watching her in the trailer. Hey Teaos, reddit did the breakdown for ya. 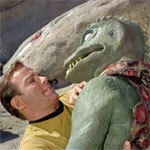 Teaos, here's another person's interpretation of that scene. Bryan Moore wrote: God this looks bad. I gotta agree. Not doing anything for me. And that's being generous. I think it looks great, better than the last few and they were decent. 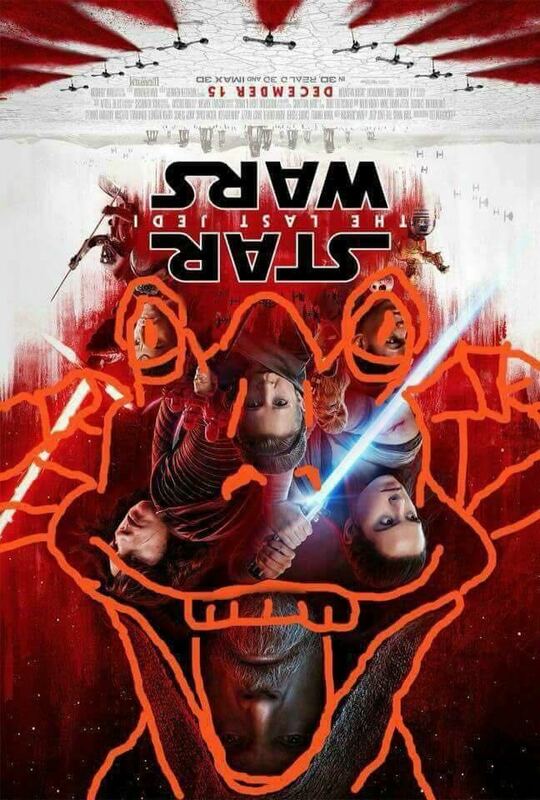 I'm not a big Star Wars guy, but I enjoy the (non-prequel) movies and this one looks pretty decent to me. I really hope it doesn't involve yet another "we need to blow up the baddies even bigger superweapon" plot, though. Graham Kennedy wrote: I'm not a big Star Wars guy, but I enjoy the (non-prequel) movies and this one looks pretty decent to me. Looks like Kylo Ren and Rey will be the dark/light sides of the 'force', and destruction will reign down as they battle it out, or choose to forgo their mentors and join together to balance the force galaxy-wide. Interestingly it also makes it look like Kylo may kill mommie. I think there are some deliberate audience fake-outs going on here, though.